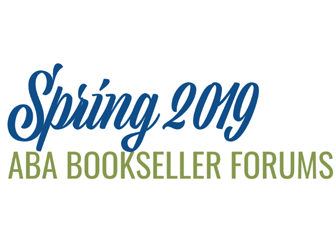 Registration for the event will open to all ABA member booksellers on Wednesday, February 20. At the forums, ABA will present the education session “ABACUS and Pre-Orders: Two Programs You Can’t Do Without” in addition to a general discussion about industry issues. Booksellers who attended Winter Institute 14 are encouraged to fill out the post-event survey, which arrived in inboxes on Wednesday, February 6, and sign into the Winter Institute app to complete session evaluations. Bookselling This Week has compiled all previous coverage of Winter Institute 14, as well as this week’s articles recapping the event. “The five former presidents here represent a long line of former booksellers who have served as ABA President, and we’re delighted that of the five who are here, they represent those who are still in the business,” said ABA CEO Oren Teicher. 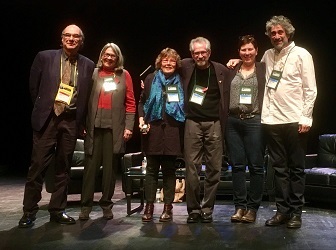 The American Booksellers Association’s Board of Directors met on January 20–21, 2019, in Albuquerque, New Mexico, just prior to the 14th Winter Institute. ABA has announced four director candidates to stand for election to the ABA Board, as well as the Board’s selection for president and vice president, who must be ratified by membership. UnBound will present a collection of relevant products across 25 categories, from journals, calendars, and greeting cards to desk accessories, toys, games, art materials, and artisanal/handmade items. On Thursday, February 7, the February Indie Next List e-newsletter, powered by Shelf Awareness, will be delivered to more than 521,000 customers at over 130 ABA member stores. ABA bookstore members can now access video recordings and handouts from a number of education sessions held at Winter Institute 14 in Albuquerque. Bookseller panelists discussed best practices for improving landlord relationships, tips for turning a landlord into an advocate for local small businesses, and strategies for lease negotiations. 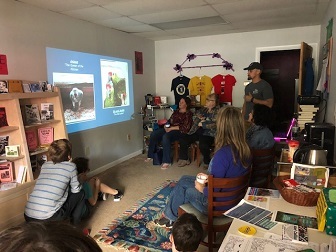 This Marketing Meetup covered what and when to post, paying for Instagram ads, selling through Instagram, tracking analytics, and the benefits of marketing on Instagram. Booksellers who join the online conversation will discuss ticketing services, where to market ticketed events, media engagement, and more. 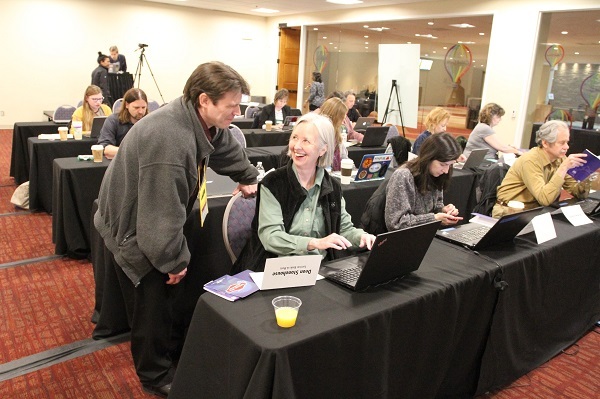 The most recent IndieCommunication invited booksellers to offer feedback about the IndieCommerce Institute and to reach out if they have questions about e-commerce-related topics covered at Wi14. 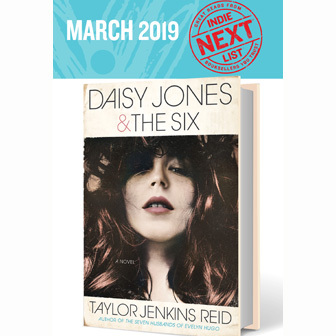 Here are the 20 Indie Next Great Reads and 12 Now in Paperback titles featured on the March 2019 Indie Next List flier, which is on its way to stores in the IndieBound movement. Booksellers can access Libro.fm’s complimentary February Audiobook Listening Copies, request a free Libro.fm marketing box, and create a playlist of their favorite titles to share on Libro.fm’s website. Welcome to ABA, The Collective! Still North Books to open; The Golden Notebook renovates; Browser Books launches literary journal; Scuppernong, MahoganyBooks, Malvern, Vroman’s, Curious Iguana, Trident, The Frugal Bookstore, The Silver Unicorn featured in local news; and more.